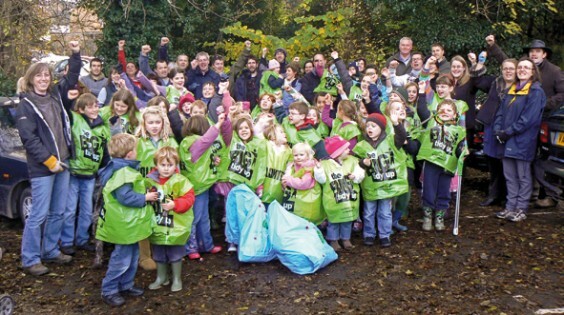 Children and adults from Alvechurch and Bordesley nursery, Crown Meadow First School, Alvechurch Middle School and Alvechurch Village Society show their enthusiasm for the village’s ‘eco-community’ initiative. They spent an hour tidying up the village under the banner of Keep Britain Tidy, collecting nearly 20 sacks of rubbish from the streets and open areas, much of it recyclable. “Many positive comments were received from local people, and the children enjoyed making a positive contribution to village life,” said Mark Clayton, eco-club leader at the middle school.